Studio Shot Of Dark-skinned Successful Woman With Long Wavy Hair.. Stock Photo, Picture And Royalty Free Image. Image 83852307. 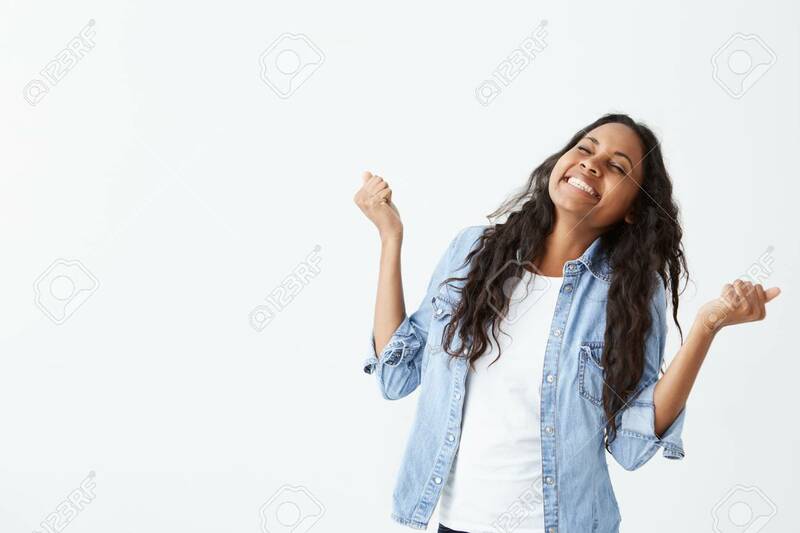 Stock Photo - Studio shot of dark-skinned successful woman with long wavy hair wearing denim shirt clenching her fists with excitement being happy to celebrate her achievement and success. Studio shot of dark-skinned successful woman with long wavy hair wearing denim shirt clenching her fists with excitement being happy to celebrate her achievement and success.